A new study confirms that multitasking negatively impacts studying. Listening to music, on the other hand, may have little effect. A new study confirms what many teachers would already have bet money on: Multitasking while studying significantly reduces students’ ability to recall information. Performing a second cognitive task while studying reduced students’ ability to remember a list of words by 33 percent compared to a control group. Listening to music, though, had only a very modest negative effect. 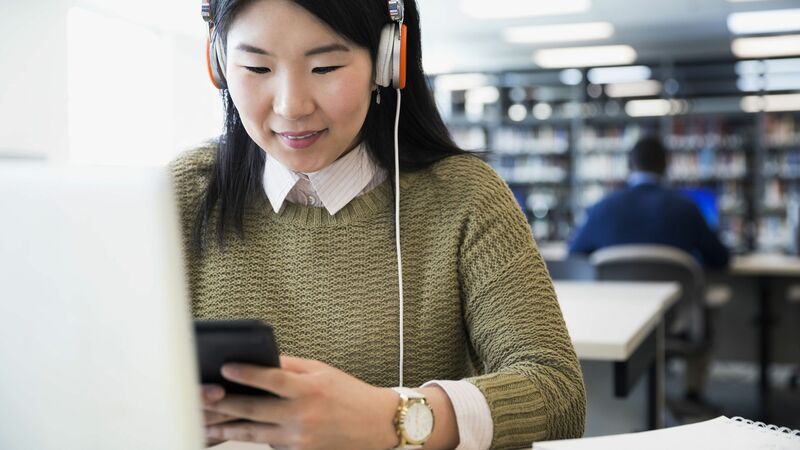 The report, published in the journal Psychological Science, examined how distractions and multitasking affect students’ ability to recall words. Researchers at UCLA’s Memory and Lifespan Cognition Lab asked 192 college students to memorize 120 words divided into six sets of 20. To test whether they could prioritize important information, each word was paired with a number from 1 to 10, representing how many points would be earned if the word was correctly recalled—a word paired with the number 10 would be worth 10 points. In group 1, students had no distractions. In group 2, students multitasked: While viewing the word lists, they listened to an audio recording of a voice reciting numbers. If they heard three consecutive odd numbers, they were to press a button. In group 3, students listened to familiar pop songs. In group 4, students listened to unfamiliar pop songs. The students who were verbally distracted, group 2, performed the poorest, recalling only 5.2 words per set of 20. The undistracted students recalled an average of 7.8 words, and students who listened to familiar and unfamiliar pop songs displayed similar rates of recall, at 7 and 7.4 words, respectively. In all groups, students were five times more likely to recall a 10-point word than a 1-point word, demonstrating that they could prioritize important information even with distractions. And students in all groups remembered more words by the sixth round than they had in the first. Interestingly, the UCLA study found that listening to music may not be as harmful as prior research had suggested. Although students who listened to music recalled slightly fewer words than ones who didn’t, they were almost equally able to recall high-priority words. “Participants compensated for limitations owing to divided attention by devoting their remaining resources to the most important items, providing further evidence that factors that worsen memory do not, necessarily, similarly affect study strategizing,” explain Middlebrooks and her colleagues. The takeaway: While pop songs may have little impact on students’ ability to focus, other distractions—loud conversations or an always-on television—can severely impair their ability to study effectively.